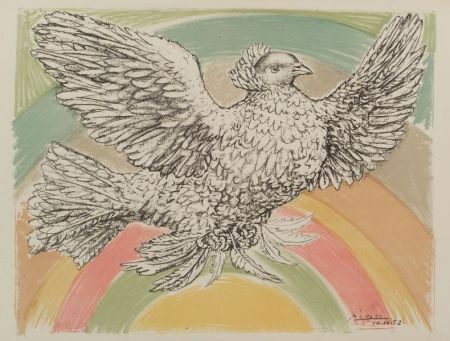 Colombe Volant à l'arc en Ciel, 1952, edition of 238 (Bloch, 712). Signed and dated in the matrix. 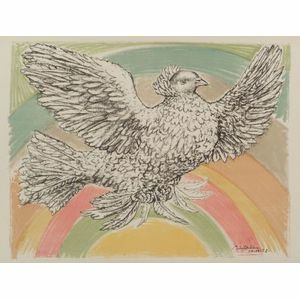 Color lithograph on paper, image size 19 3/4 x 25 1/2 in. (50.2 x 64.8 cm), unmatted, unframed. Condition: Margins 1 inch or more with deckled edges to all but the top, subtle toning, minor handling creases to margins.